Unfortunately, enforcing the orders of the court can be a continuous battle for some parents. Are you having trouble getting child support payments from your former spouse? Is your child time-sharing plan not being kept? 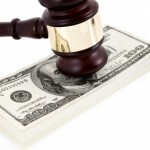 Have you been charged with contempt for nonpayment of a court order or modified order? In these cases, you need qualified legal help. Contact our Orlando child support enforcement lawyers immediately. Failure to pay child support, withholding visitation on the part of a parent, and undue charges of nonpayment are serious offenses that can be damaging to the well-being of the child. Former spouses informally discuss a support payment decision and come up with a “new plan” outside of the court… and now one parent is charging the other with contempt. Court judgments and rulings are not suggestions. They are laws that apply to the people who are involved in the legal action. In a divorce case, if either spouse does not voluntarily obey the orders of the court, the court has the power and authority to force them to comply. Depending on the nature of the problem, there are many actions we can pursue on your behalf through the court to enforce a divorce ruling. Contempt is the violation of a court order. A motion for contempt for failure to pay support can be criminal or civil. If a person has violated the court order or has otherwise shown disrespect for the court by failing to pay child support, they may be imprisoned for a length of time up to six months in county jail. In addition, incarceration will be subject to a purge bond. With a purge bond, the Court orders a certain amount be paid by the incarcerated person prior to their release from jail. The amount of the purge is then credited to the spouse seeking enforcement. The Court has a variety of other tools they may use to enforce Orders and Judgments or to force a party to pay child support. The consequences can be severe. 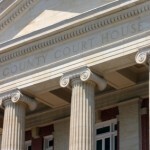 Our enforcement attorneys have experience on both sides of the enforcement issue. When a parent disobeys or evades the court’s rulings, proper enforcement actions should be taken. On the other hand, you may feel you have been wrongly accused of contempt. Hard economic times or job loss may make support payments unworkable, and in these cases you have rights that we are able to defend. If you need to collect unpaid child support, assert your visitation rights, or defend yourself against an enforcement action, contact our Orlando child support enforcement lawyers or reach us at 877-493-4847. We are more than a divorce law firm. Our lawyers are skilled in many connected areas of law including criminal defense, civil litigation, bankruptcy, foreclosure defense, estate planning and personal injury. Allow us to address your legal problems inclusively.